iPhone 5 to edge out 3GS? Is this goodbye, old friend? The iPhone 5 launch next week could mean the end of the line for the iPhone 3GS. Sources 'close to retailers' in the UK told the Daily Telegraph that the iPhone 3GS is set to be replaced by an 8GB iPhone 4 which will become free on contracts of £20 per month. The chatty insiders also let slip that there will be three storage editions of the iPhone 5, with the still-unconfirmed handset's release date falling in the week of September 21. 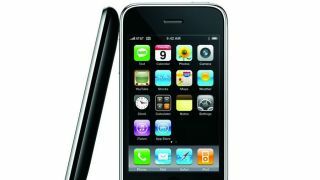 The new handset is expected to require a nano-SIM that's even smaller than the micro-SIM required by the iPhone 4 and iPhone 4S. Naturally, Apple's not saying anything and won't until the new iPhone 5 is unveiled on September 12 and, as usual, we prescribe a pinch of salt be taken with any rumours 'til then. We'll be round Apple's way on Wednesday, so join us on Twitter or keep an eye on TechRadar for our hands on iPhone 5 review.